Wishes for a wonderful New Year's Day and the perfect year! 2011 will be the best year ever! This month's projects are a bit more challenging and labor intense than most. The end result sure shows! Here's the calendar project. Each year we make a calendar card... and this year is no exception. For 2011, we will make this card dedicated to being a seasonal (3 month per view) card/calendar. I planned on using only two sets and having 2 designer paper choices but I kinda went crazy with all the options. You'll have 5 stamp sets and 5 designer paper choices! SU has a Filled with Love bundle special featuring this stamp set now thru January 24th. You can find the set in the Holiday mini catalog. 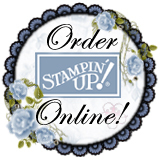 See my SU website at www.jilli.stampinup.net (or the SU home site) for details on the promotion. I'll also bring printed fliers. This projects uses the letterpress plates (new to SU) and faux postage. Doesn't the focal look like a postage stamp??? SU also introduced a recordable greeting card base... perfect to decorate as you would a greeting card. You should have received your Occasions Mini catalog this past week in the mail. WOW, talk about a mini catalog FULL of yummy stuff!!! I like everything in this mini (darn it!). After designing the first 2 projects, I was a bit exhausted. I really wanted to use this set, and that embossing folder (see the embossed frame), the designer label punch as a tab, the designer paper called Botanical Gazette, and finally the ruffled ribbon (seam binding... yeah, more colors in this mini). After adding all those elements, wha-la.... this is it! I was planning on coloring in the focal, but after coming back to the project after a little break, I really liked it in espresso - no coloring. That was a relief to have the project complete... we need a simpler one this month. I'm looking forward to our stampin date! I can't wait to have you make these projects!